Nelly Addresses Floyd Mayweather Feud, Discusses "Tip Drill"
A feud has reportedly been forming between Floyd Mayweather and Nelly. Today (July 28), Nelly was asked about this purported beef with the boxer. During the interview, Nelly also spoke about his video for “Tip Drill,” a cut off 2003’s Da Derrty Versions: The Reinvention. 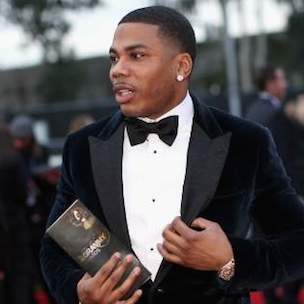 When asked if he regrets the raunchy clip, Nelly said he views the video as an artistic moment in his life.